If you think our First Amendment rights are being trampled here in America left and right, check out what’s going on in Spain. 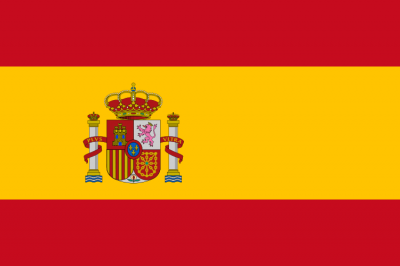 Now, because of Spain’s Orwellian “Citizens Security Law” which went into effect July 1st, they have fined her €800 or nearly $900 USD simply for sharing the picture on social media. Police were reportedly able to track her down within 48 hours. That’s because the so-called “Citizens Security Law,” which the people in Spain lovingly refer to as the “gagging law,” has a clause that says, “the unauthorised use of images of police officers that might jeopardise their or their family’s safety or that of protected facilities or police operations”. The fines for this can go up to an astounding €30,000 (nearly $33,700 USD). When the police were asked how the photo had put them at risk under the definition of the law, spokesman Fernando Portillo said, “the officers felt the woman had impugned their honour by posting the picture,” according to The Guardian. 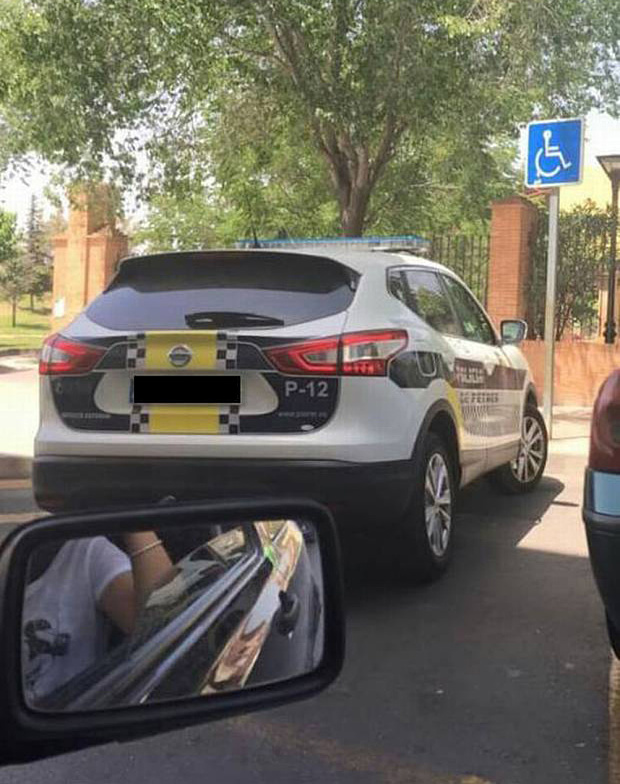 Portillo said police can park wherever they want when they are in an emergency, and the officer in the photo parked in the handicapped spot because someone had vandalized a nearby park. If you think about this logically, it obviously makes no sense. 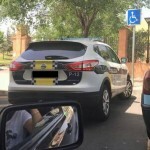 The only way a picture like that would endanger that cop’s safety is if someone saw the photo and got mad enough to commit violence against the cop because he parked in a handicapped spot… in which case, it would actually be the cop endangering his own safety and making himself look bad by parking in a handicapped spot to begin with. Then again, there’s really no point in trying to argue with an Orwellian police state. It’s not there to make sense. It’s there to control everyone. Completely. Not that it’s even necessary, but to further prove this is simply all about keeping Spain’s citizens from speaking out against their police in a public forum, the first guy who got slapped with a fine under the law was someone who merely called his local police “a pack of slackers” on Facebook.